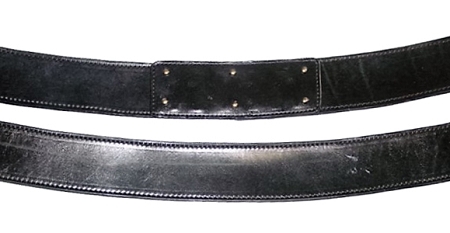 This belt is available Straight, Contoured, Reverse Contoured and adjustable. Great NEW Designs! If you are built straight with no tummy Evil Roy recommends a straight belt. If you have a slight or larger tummy Evil Roy recommends a reverse contour belt. 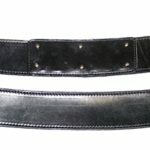 If your weight changes greatly we offer the adjustable belts. 10 Round Shotshell Slide, snaps on and off. 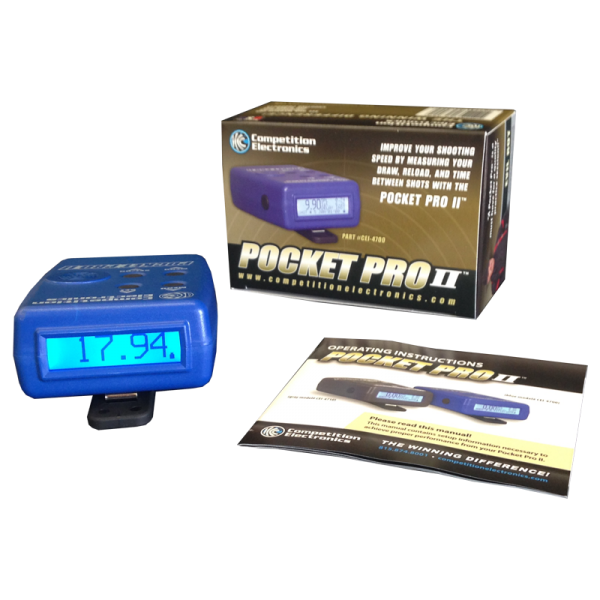 The most common configuration is the Double Pouch for easily grabbing your shells in 2’s. 6 Round Single Pistol / Rifle Slide, snaps on and off. All leather orders are custom made and drop shipped by Ted Blocker Holsters when completed. 1 – Belt, 1 – 10 Round Shot Shell Slide in your choice of Double or Single Pouch, 12 gauge or 20 gauge 1 – 6 Round Bullet Slide 32, 38/357, 44, or 45LC. The new Evil Roy Shotgun Belt is a modular design which allows the shooter to customize or change caliber, shot shell gauge, add additional slides and place things in different positions as needed or as required when your loading style or methods change. 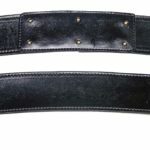 The belt has a 10 hole tongue for a massive amount of adjustment for weight loss or gain or clothing changes from warm to cold conditions. For instance, the belt can be worn over a coat in the winter and still fit when worn over a summer shirt. Evil Roy has had a 10 hole belt for over 15 years and it still fits after many weight changes. This belt is made to be worn with the buckle to the rear to maximize useable space for gear. 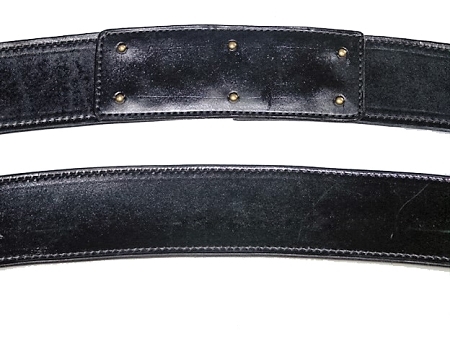 The belt comes with a non-dyed suede liner in a natural finish that will not rub off on your clothes. The liner also helps to keep the belt from sliding around on your body. 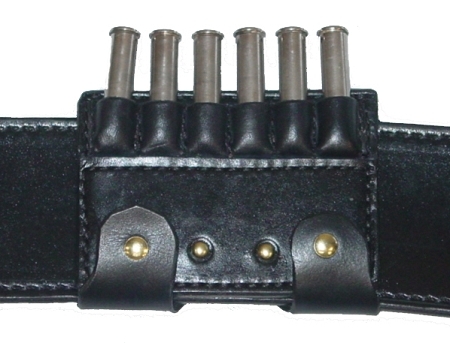 Evil Roy’s personal shotgun belt has the 10 round double pouches, contoured belt with an added SP six round slide for pistol or rifle reloads. He uses the same belt as the upper belt for magazines and shotgun/ rifle slide for the Wild Bunch matches. 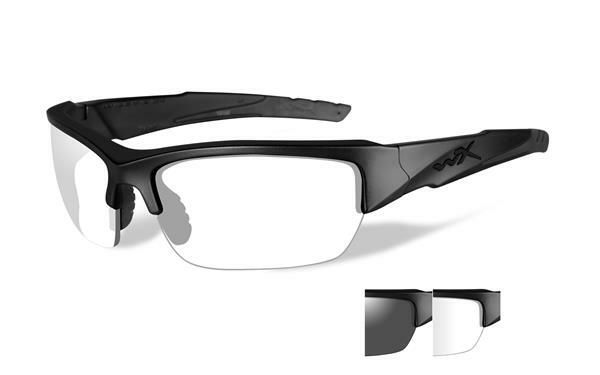 WileyX Valor Single Vision Prescription Lenses w/ Black Frame FREE SHIPPING!!! 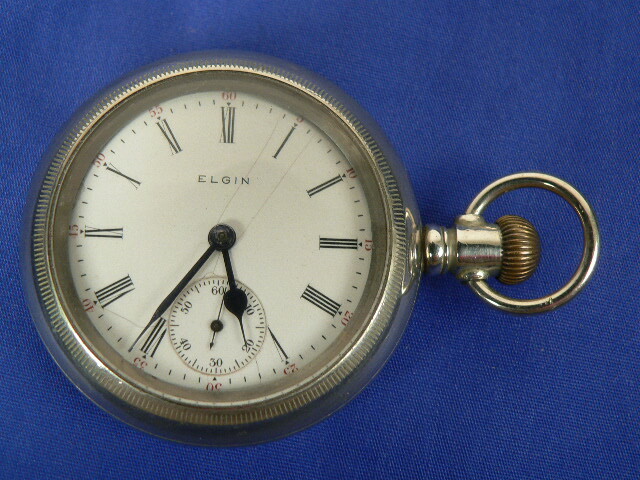 Antique Pocket Watch by Elgin National Watch Company FREE SHIPPING!! !